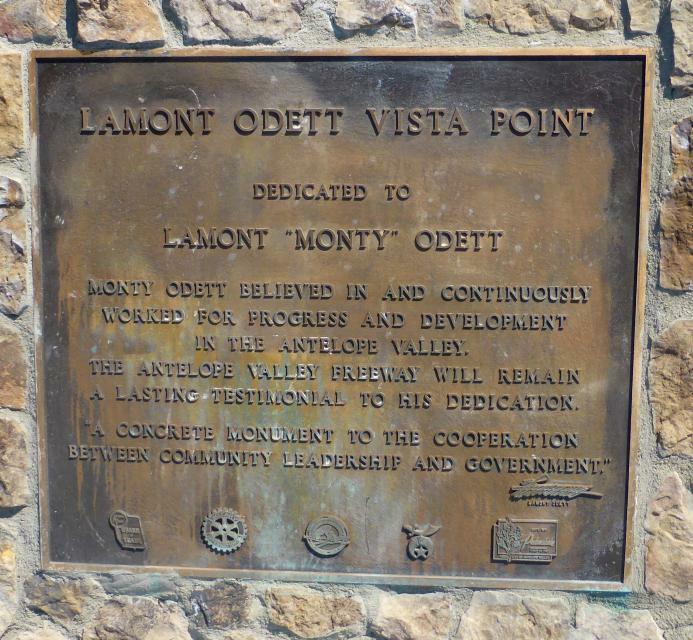 Monty Odett believed in and continuously worked for progress and development in the Antelope Valley. The Antelope Valley Freeway will remain a lasting testimonial to his dedication. "A concrete monument to the cooperation between community leadership and government." This marker can also be identified by its HM code. You can use the hashtag #HM1HIN in tweets, and any other place where you might refer to this marker, including when searching on this site.